How can we make so sure that wherever we go our cards are safe? I've watched this Live News about hackers who can steal right there in front of you and you wouldn't even know. They might not be that close, but they can get into your card information and all you know is that you have an unauthorized transaction in your credit cards, bank cards and more. I want to make sure that my cards are being protected from this dishonest person. That's why I'm so thrilled that RFID Blocking Sleeves is created for such purposes. Its a sleeve that you actually put in your card and it should work its duty. I also found the same kind of sleeves I got from my Immigration Card, to protect my identity and such. I received my product in the mail in an ordinary air mail. Nothing fancy except it's awesome design and of course the whole purpose of the item. 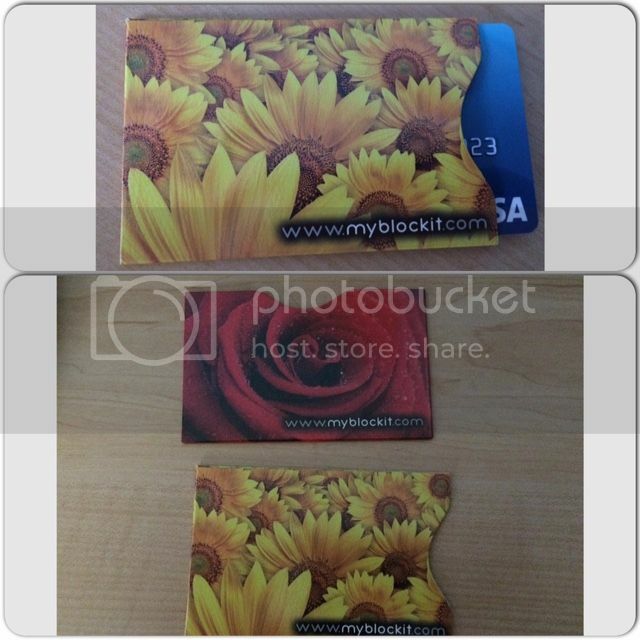 Is to block or protect my cards from being pilfered. The company carries many varieties of design if you prefer something that is nice to have for your plastic cards. They have flowers and I think the customer service whom I spoke with also mention about the Car design they have. There you go! Cars fanatic you can totally sleeve up your plastic cards with this blocking sleeve. Easiest way to prevent from a Digital Pickpocketing. Interested? You may purchase the product HERE. How do I know if this works? I don't know, since I have no way of finding it myself as I don't have any device that would try it on. Nor would love to be arrogant and contacted one of those people who have devices. Easy to slip on and off, which is even better. Identity theft is a scary subject. One time, my sister was charged apparently for a roundtrip ticket to Africa. She never bought that ticket. Good thing the credit card company did an investigation and found out that she really didn't make the purchase. I hope this RFID blocking sleeves really work. igital picvl[ocketing, bago sa kin yan Mommy, does it really exist or happen? I could use one of this for my ID,.